Our business covers a vine area of about 2,5 hectares from which we produce around 100 to 120 hectolitres of wine, depending on the course of the year. 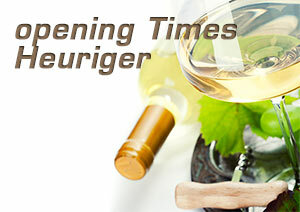 Our vineyards include Poigen, Buchenthal, Scheibenthal, Mitterbürg and Bachgartl. 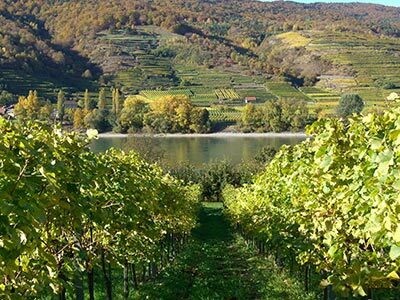 Among our selection, you will find the most important and best growing types of wines of the Wachau; Green Veltliner, Riesling, Weißburgunder, Neuburger, Yellow Muscatel and Blue Zweigelt to top off our portfolio. We have always cultivated our vineyards according to the guidelines of Integrated Production and the quality criteria of the Vinea Wachau. This means unspoilt nature, permanent greening of the soils and the acceptance and support of beneficial insects, such as the ladybeetle. In order to meet our own high quality standards, we pick all our grapes by hand to ensure that only the best ones are pressed. A high degree of manual effort with the newest ecological knowledge is necessary for the process of vinification, in order to produce TOP Wachau wines. Please use our contact form for general questions regarding our products and offers.